Are you tired of forking out big bucks for your printer ink? Most people would say yes to this question but have not much of an idea of how to remedy it. 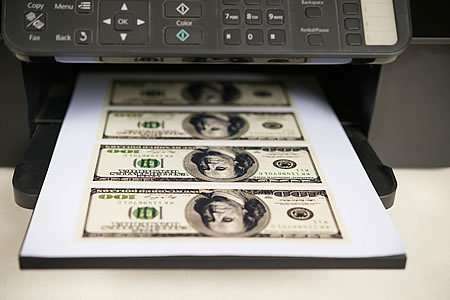 By purchasing the right printer, using good quality generic cartridges and learning to use your printer correctly can stop it from guzzling your valuable ink can save you a fortune in printing costs. By following our advice you could easily cut your printing costs by as much as 300% without compromising on print quality. So lets take a look at the best ways to start saving you money. This is without doubt the best place to start as choosing the correct printer to begin with will not only save you a fortune but also will save you a load of frustration. While there are a huge variety of printers to choose from don’t be conned by the sales person as most of them know little about the techy side of printers and they may even unknowingly lead you to a bad choice. When shopping for a new printer always look for a printer which uses individual cartridges for each colour. Never make the mistake of buying a printer which uses only 2 cartridges as they are always expensive to replace. Canon Inkjet Printers are by far the best choice when it comes to choosing a new printer. If you change your printer from whatever mode it is in to “Draft Mode” then it will instantly start to save you ink every time you print. This is because draft mode is a lower resolution to all other modes which in turn means that every time you print only a portion of the nozzles squirt out ink. Although draft mode will output a lower quality print you will find that it is still fine for invoices or general document printing. By switching to draft mode you could save a whopping 50% of ink immediately. If you are wanting to print mainly black and white documents then changing the printing mode to grayscale can save your valuable coloured inks by only using the black. Not all inkjet printers however will use only the black as many of them mix colours to produce their own version of black. Often inkjet printers will use all of the colours for grayscale as it keeps ink flowing through the printhead nozzles which in turn prevents old ink from drying and blocking the nozzles. Try checking your printer manual to see which mode will achieve your desired preferences. Ten years ago the quality of non genuine cartridges was very poor. The ink would leak everywhere, often cartridges wouldn’t fit properly or they would Jam up the internals of the printer, toner would leak all through the printer or the ink would dry in the printhead and prints would have lines through them or even complete colours missing. These days high quality compatible cartridges are equal to the genuine OEM cartridges if purchased from a reputable dealer. The price saving is amazing and the print quality and page yields are equal or greater than the more expensive brand name cartridges. An ecofont is simply a font with holes along the centre of each letter. By inserting these small holes into each letter it can actually save you around 50% of your ink use. Not everyone likes the look of the ecofont however when printed in small font sizes there is little difference visually. I personally wouldn’t bother using the ecofont however if you really want to penny pinch and you do large amounts of document printing then it will definitely save you a heap of ink. You can download the ecofont here. After installing a new Epson ink cartridge your printer comes up with the following message: “Ink Cartridges Cannot be Recognised“. This is a very common problem with most Epson printers and there are a number of reasons why this can occur. Most people immediately blame the ink cartridge (especially if it is a generic cartridge) however many times the fault lies in the actual printer software which tries to detect either a faulty or non genuine cartridge having been installed in the printer. Epson seem to be hell bent on trying to deny the consumer the choice to use a cheaper “Generic” cartridge rather than using the over priced Epson cartridge. Often a generic cartridge will be used for the first time and the “Ink Cartridge cannot be Recognised” error will occur immediately. The printer software is actually able to detect the difference between the Generic Printer Cartridges microchip and the genuine cartridges microchip resulting in the error message appearing and the printer refusing to operate. There are several methods used to overcome this issue. If you experience the above mentioned situation of replacing only one cartridge with a generic one and having the error message appear then try the following solutions. 1. 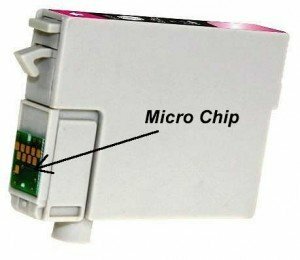 Remove the offending cartridge from the printer, make sure that the small microchip is clean and intact. 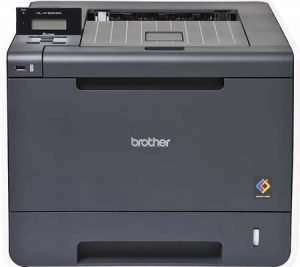 Replace the cartridge, unplug the printer at the wall for about 20 mins and the turn back on. Often this resets the printers memory and will overcome the error message. 2. Remove all cartridges and replace ALL OF THEM with compatible cartridges. Very often when first changing to compatible cartridges we have found this to work. The reason being the fact that the printer is unable to now differentiate between the micro chips on each cartridge as they are all using the same kind of generic micro chip. Another method which often works is to remove all of the cartridges and try to just install them one at a time. As stated previously the Epson firmware is very complicated and the user must be willing sometimes to try various methods to trick the printer into accepting the cartridges. There are several other issues which can also prevent a generic cartridge from being recognised. 1. a faulty micro chip on the cartridge. Although quite uncommon it can occur as with any mass produced item. 2. an out dated micro chip. This is especially so with compatible inks as often an Epson compatible cartridge will have several version micro chips to keep up with Epson’s software updates which they use to try and combat the use of generic ink cartridges. Without the newest version of the compatible cartridge you may find this occurring. Will some printers simply not accept generic cartridges? The answer to this is a definite NO. There is no Epson printer which I have come across in the past 10 years that simply wont accept the use of generic cartridges. In saying this there are some exceptions such as The printer is from another country and is region locked and you have purchased cartridges from a different region. No matter what you do they will not work until you install cartridges from the correct region. This is a very common occurrence when people purchase their cartridges on Ebay as often they are shipped from overseas suppliers. Another exception is when a cartridge has an out dated microchip. If the printer has installed an updated software version that has been designed to combat the generic microchip on the cartridge then it will not work. The only solution to this is to make sure that you cartridges have the very latest microchip attached.